Picking up books for a friend - or yourself - this holiday? Try these! 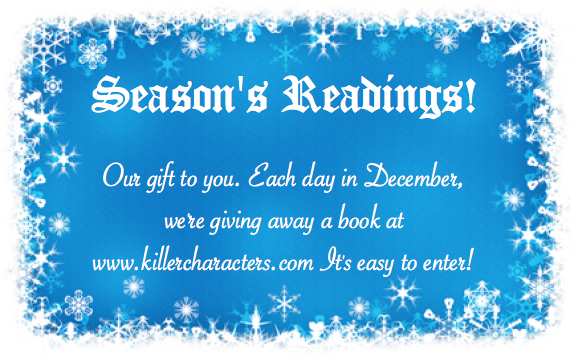 And enjoy our great December giveaway!! Wagtail, Virginia, the top pet-friendly getaway in the United States, is gearing up for a howling good Halloween—until a spooky murder shakes the town to its core . . .
Holly Miller doesn’t believe in spirits, but the Sugar Maple Inn is filled with guests who do. The TV series in development, Apparition Apprehenders, has descended on Wagtail’s annual Halloween festivities to investigate supernatural local legends, and Holly has her hands full showing the ghost hunters a scary-fun time. But the frights turn real when Holly’s Jack Russell, Trixie, and kitten, Twinkletoes, find a young woman drowned in the Wagtail Springs Hotel’s bathhouse—the spot of the town’s most infamous haunting. The crime scene is eerily similar to the creepy legend, convincing Holly that the death wasn’t just accidental. 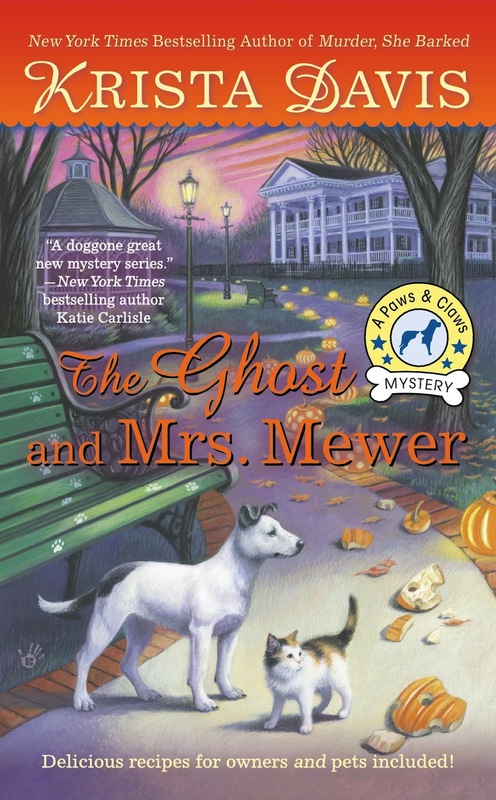 Now she’ll have to race to catch a flesh-and-blood killer—before someone else in town gives up the ghost . . .
First book in a new series! 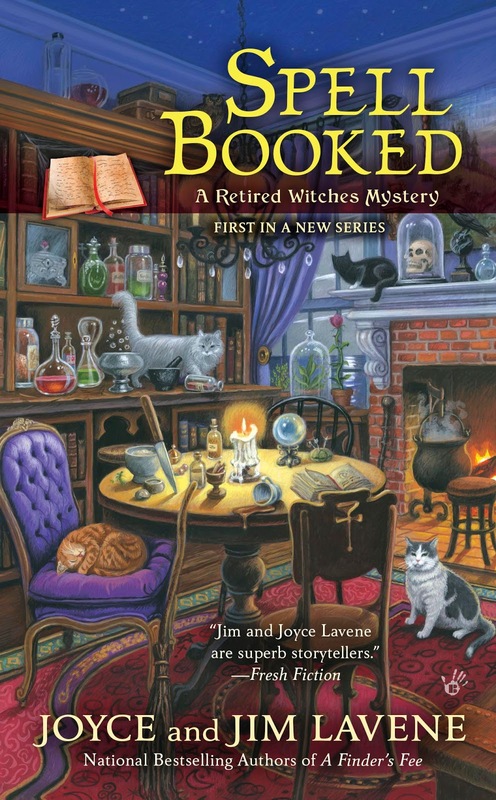 The national bestselling authors of the Missing Pieces Mysteries summon up the first Retired Witches Mystery in a brand new supernatural series. Before they could blink their eyes or twitch their noses, Molly, Elsie, and Olivia somehow became eligible for AARP. But they can’t fly off to Boca Raton just yet. First they must give up their magic, recruit and train three new witches, and pass on their cherished spell book. It may be Christmastime, but thoughts of peace on earth, good will toward men, don’t seem to extend to the restaurant business. 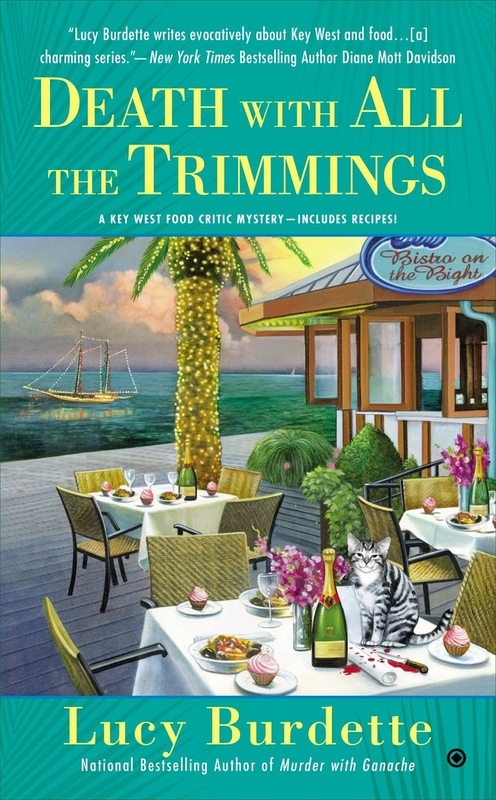 Food critic Hayley Snow has been assigned to interview Edel Waugh, chef/owner of Key West’s hottest new restaurant. But off the record, Edel reveals that there’s been sabotage in the kitchen and asks Hayley to investigate. Things heat up fast when the restaurant is set on fire—and a body is discovered in the charred wreckage. Is someone out to destroy the chef’s business—or actually kill her? Amid holiday festivities like the lighted boat parade, and visiting relatives who stir up mixed emotions, Hayley needs to smoke out an arsonist and a killer before they turn up the heat again…on her! 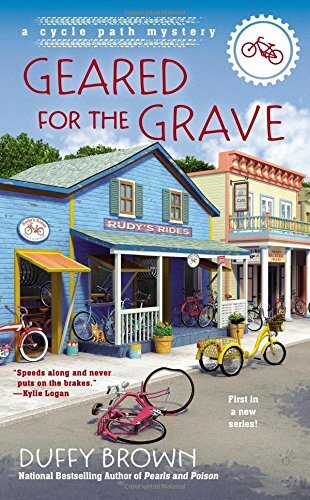 Shakedowns, cover-ups, and big fat lies, keep bodies hidden on Mackinac Island and a bike-riding tourist oblivious to it all. Angie’s parents are visiting Rolling Brook for Christmas—but unfortunately, her ex is joining them. 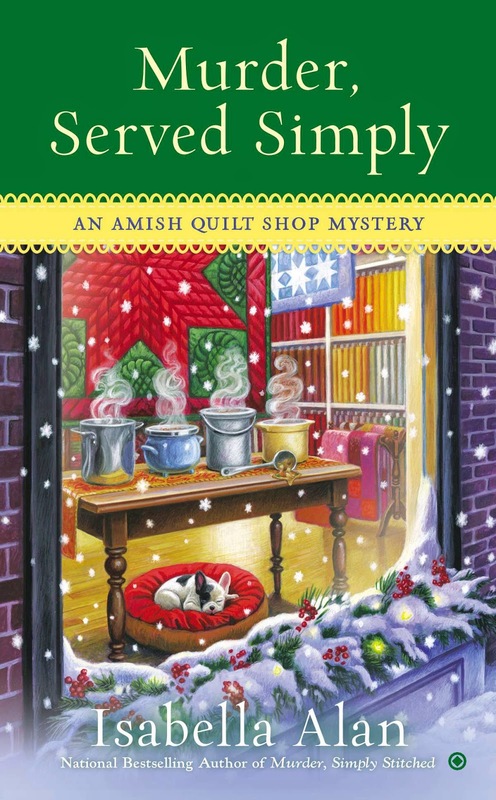 Luckily, Angie has no time to dwell on her romantic troubles as she prepares her store, Running Stitch, for the town’s traditional progressive dinner, featuring a sleigh ride stopping at each shop for a different course of the meal. Looking forward to reading all of these! All four books look wonderful and I can't wait to read them! So many great books to read this month. Hope I'm able to get the opportunity to own them. Thanks for the great giveaway. I'm so excited about these - I loved the first Paws & Claws (so I know the next one will be great) and I'm always ready to check out a new series. I want to read Spell Booked. All the books seem to be great books to read over the holiday season. So many good books---so little time. Perfect timing! Want to read them all!!! I have several books on my wish list. If I am lucky I will get all of these books for Christmas. Thanks for including me in this great list of December reads. So many books…so little time esp this time of year. LOL. Glad to see so many new titles and just in time for Santa! All of these are enticing. We all need a break from the frenzy of the holidays, and books are my escape.